The E-SPRESSO SPORT/TOUR 410 is MERIDA’s sports/tour bike for men that uses the BOSCH crank drive system. It’s designed for regular commuting, with comfort and practicality being at the forefront of design requirements. The BOSCH performance line is a smooth high torque motor that delivers power constantly throughout its speed range. The lights, rack and inbuilt lock are conveniences for daily commuting requirements. 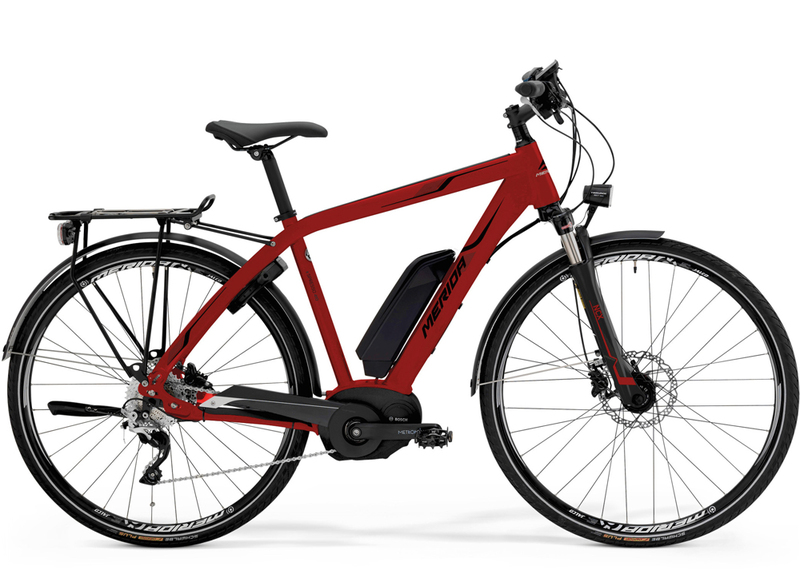 This bike will impress any rider who wants a robust, good looking performance ebike. It comes in a dark red colour and is available in 4 frame sizes in between 46cm to 61cm. Please come into our shop to test ride it if you think this may be what you are looking for.